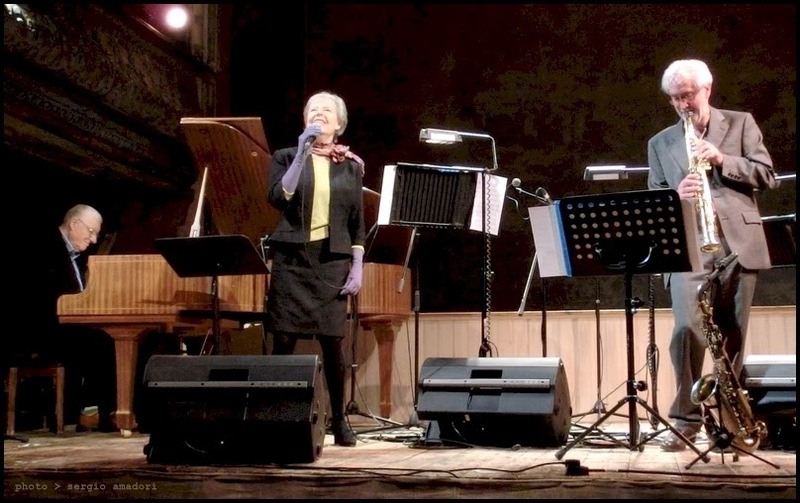 Mike Westbrook, Kate Westbrook e Chris Biscoe sono questa sera al Novara Jazz: Three into Wonderfull. All'auditorium del Civico Istituto Musicale Brera di Novara, con inizio alle ore 21.00. The Westbrook Trio is the longest established and most widely travelled of all Mike Westbrook’s ensembles. The Trio’s mix of composition, song and improvisation has been at the heart of many Westbrook projects, from the seminal Brass Band of the ‘70s to the New Westbrook Orchestra. From the early ‘80s, Kate, Mike and Chris have continued to perform regularly throughout Europe as well as touring in Canada, Australia and the Far East. The group’s geographical and musical adventures are commemorated in their 20th Anniversary album L’ascenseur/The Lift of which Observer critic Dave Gelly wrote “No one has succeeded in creating a more distinctive body of work than Mike and Kate Westbrook. Their mixture of jazz, music-theatre, poetry, street entertainment and visuals is rich and unique. That just three people can create such a variety of sounds is hard to believe."